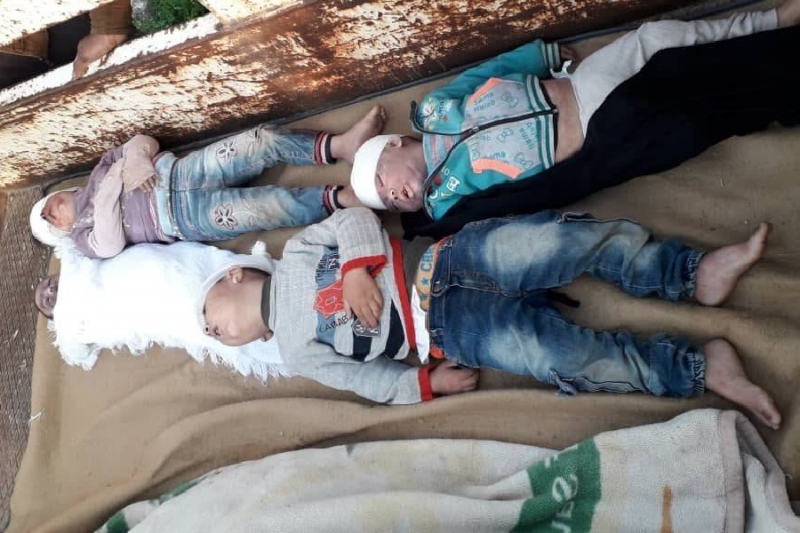 The children Mariam, Fatima, Abdullah and Islam al Mer’e, IDP’s from Al Traimsa village in Hama, were killed alongside their father Ismail while their mother was injured in what was believed to be a Russian airstrike on their house in Al Faqee in Idlib, according to local media. 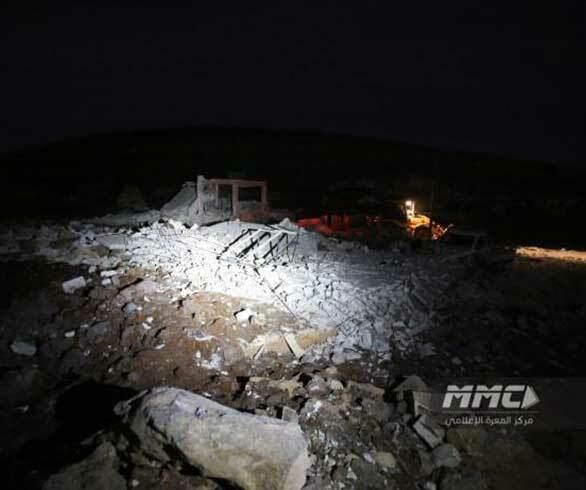 The airstrike was reportedly conducted after midnight on the night between March 20th and 21st. 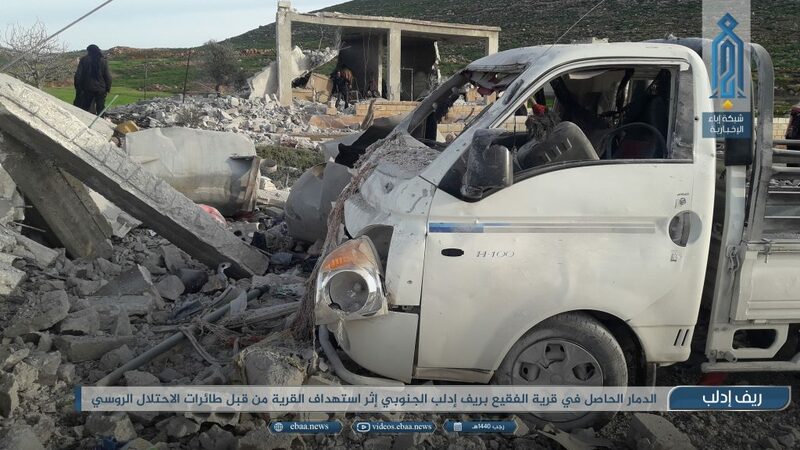 A correspondent from Shaam News added that Russian aircraft struck the outskirts of the city of Jisr al-Shughour and Hamdina area south of the city of Maarat al-Nu’man, the villages of Sheikh Mustafa and the village of al-Faqee, where the family was killed. 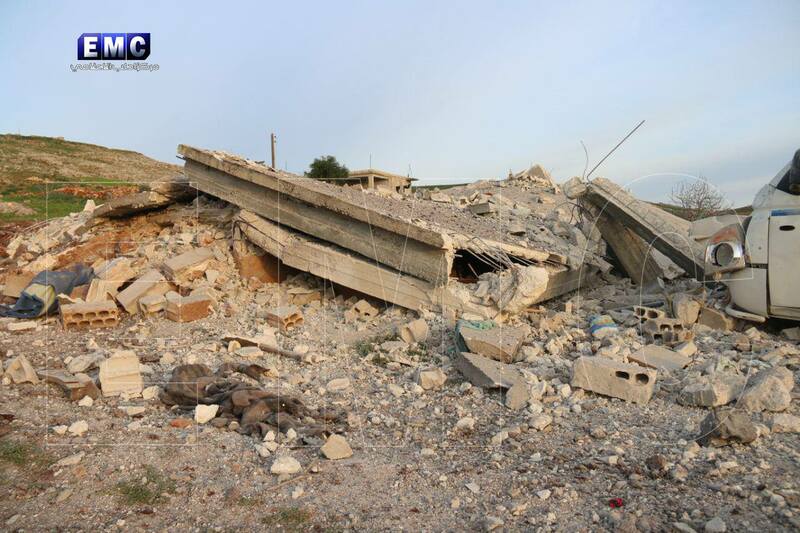 Halab Today TV added that a total of six Russian aircraft conducted the attacks on these villages. According to EMC, “rockets” were used in the attack, which Ebaa News referred to as “rocket-propelled grenades”. 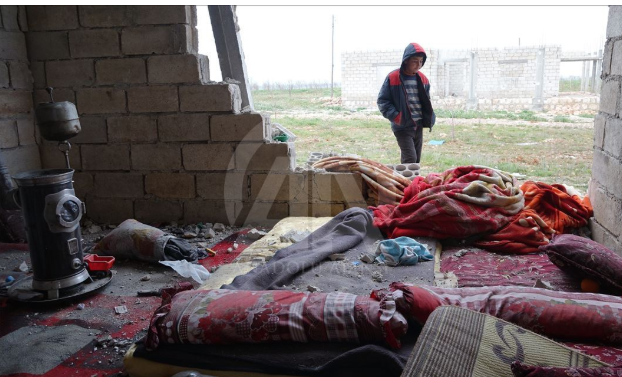 Alaraby added that shelling left many civilians wounded. 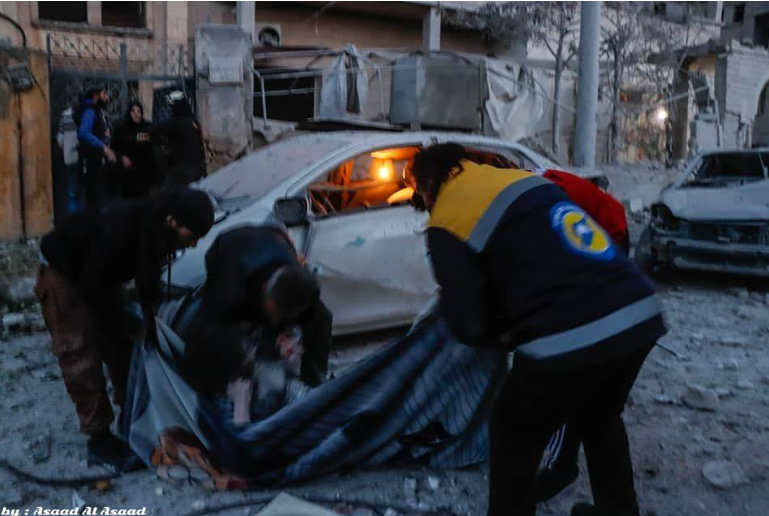 Baladi News was the only source that reported two civilians were killed. 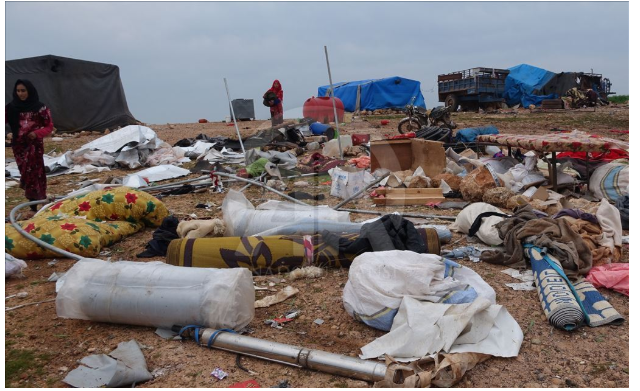 Euphrates Post reported that only three children from the family were killed, although most other sources put the number at four – and posted photographs of their bodies on social media. Alaraby put the death toll at seven civilians were killed including five children. The source reported that among the victims were Ismail and his four children. 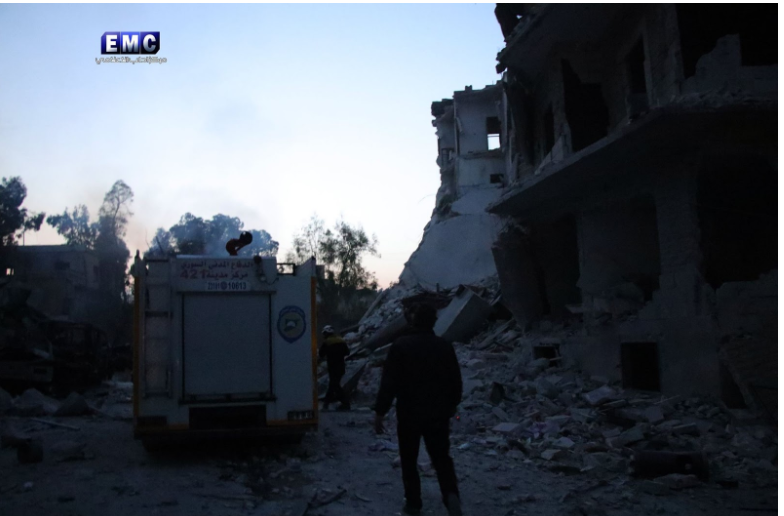 A total of six civilians were reported wounded including Ismail’s wife, and a number of other women and children among whom one child was reportedly left in a critical condition. 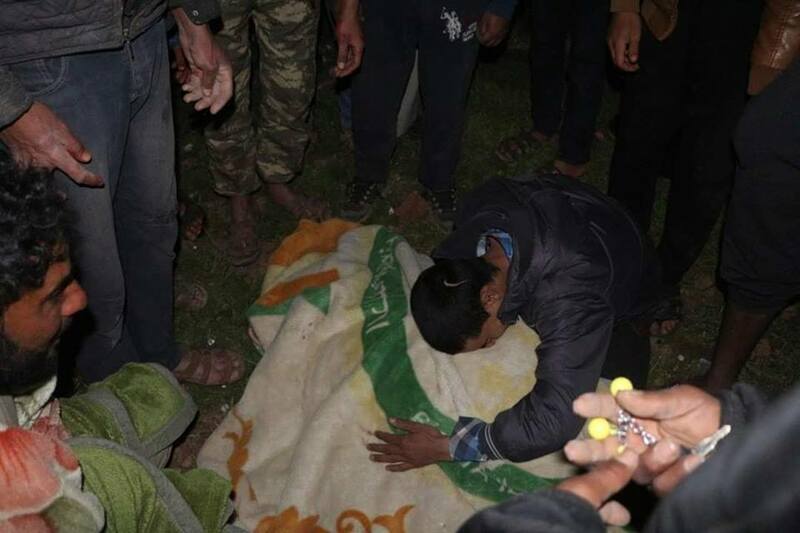 Mourning over one of the victims killed in an alleged Russian airstrike on Faqee’ in Idlib after midnight on the night between March 20th and 21st (via Euphrates post). One of the victims killed in an alleged Russian airstrike on Faqee’ in Idlib after midnight on the night between March 20th and 21st (via Euphrates post). 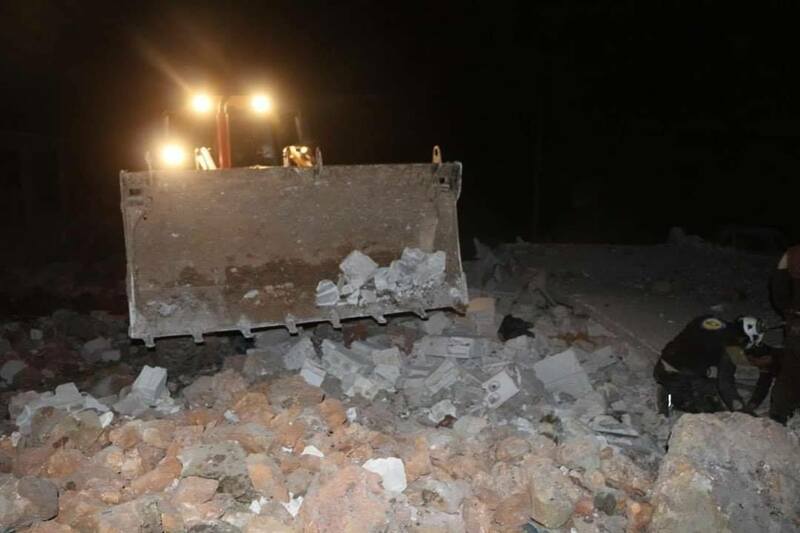 Cleaning the rubble after an alleged Russian airstrike on Faqee’ in Idlib after midnight on the night between March 20th and 21st (via Euphrates post). 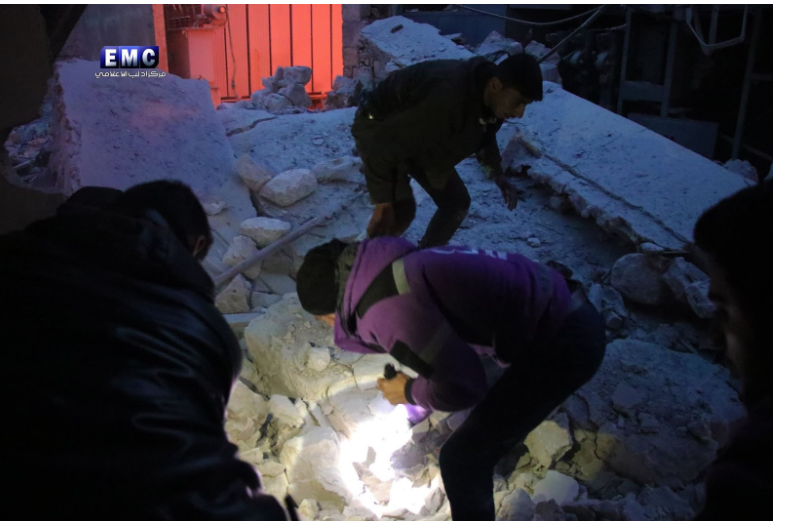 Searching through the rubble after an alleged Russian airstrike on Faqee’ in Idlib after midnight on the night between March 20th and 21st (via Euphrates post). 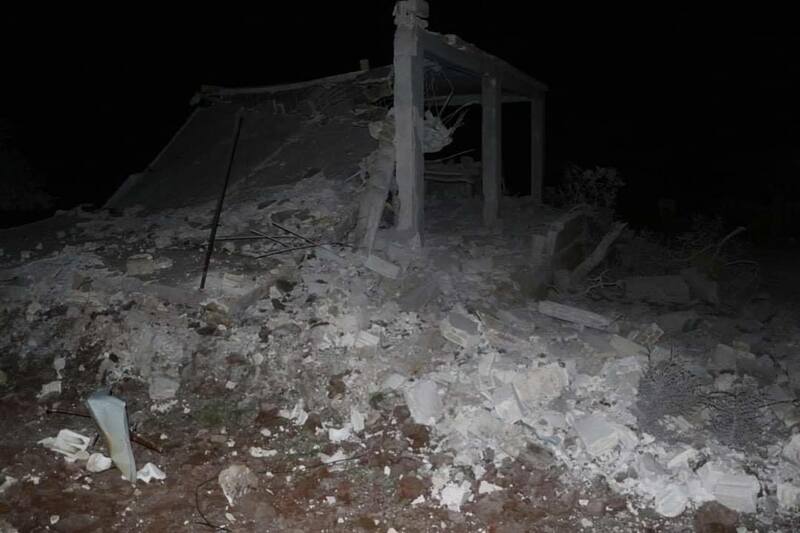 Rubble caused by an alleged Russian airstrike on Faqee’ in Idlib after midnight on the night between March 20th and 21st (via Euphrates post). 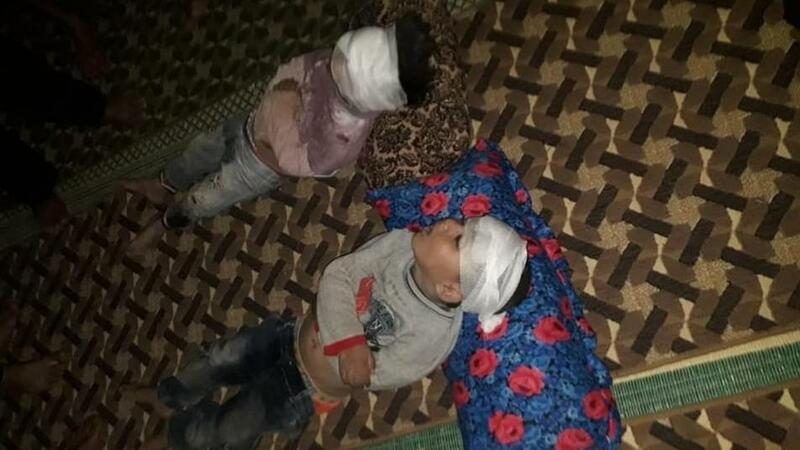 Victims of an alleged Russian airstrike on Faqee in Idlib after midnight between March 20th and 21st (via Shaam). 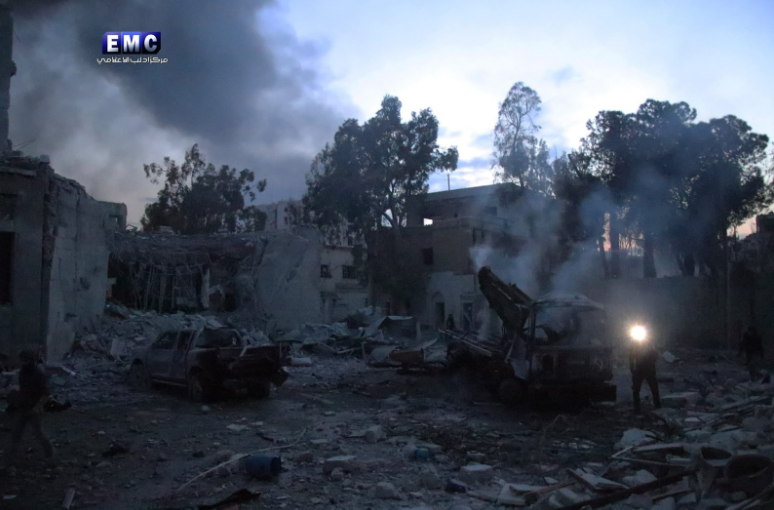 Destruction caused by an alleged Russian airstrike on Faqee, Idlib, after midnight on the night between March 20th and March 21st (via Halab Today TV). Video of the search for bodies after an alleged Russian airstrike struck Faqee, Idlib between March 20th and 21st (via Syrian Civil Defense). 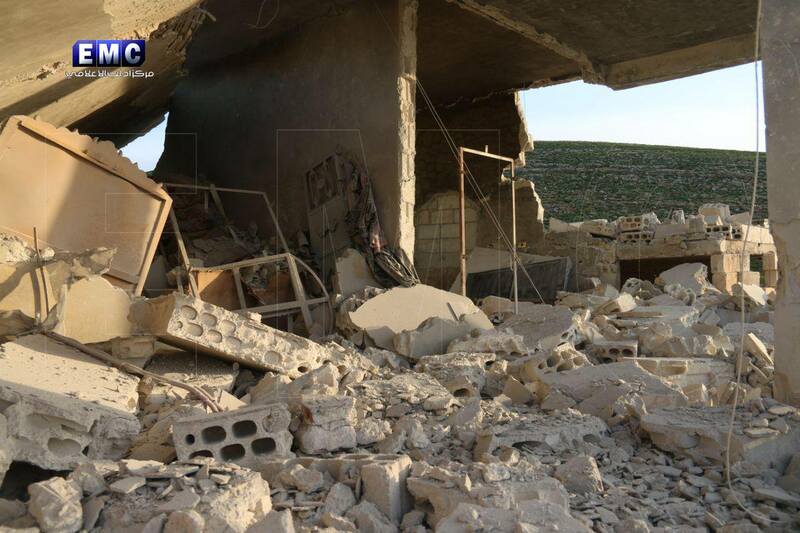 Destruction caused by an alleged Russian airstrike on Faqee, Idlib, between March 20th and 21st (via Ebaa). 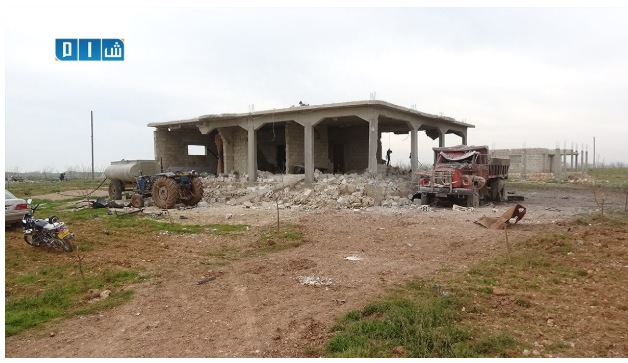 Destruction caused by an alleged Russian airstrike on Faqee, Idlib, between March 20th-21st (via Ebaa). 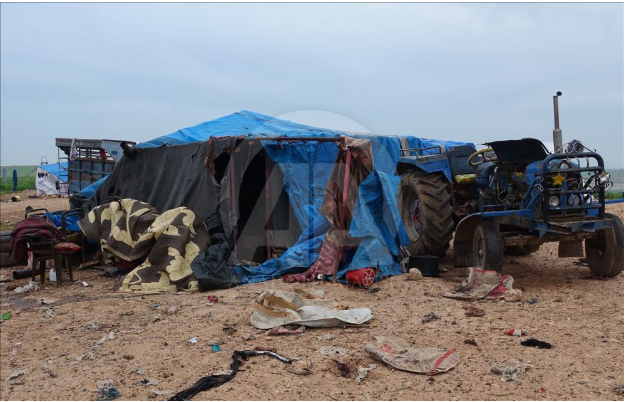 Victims of an alleged Russian airstrike on Faqee, Idlib, between March 20th and 21st (via Orient). 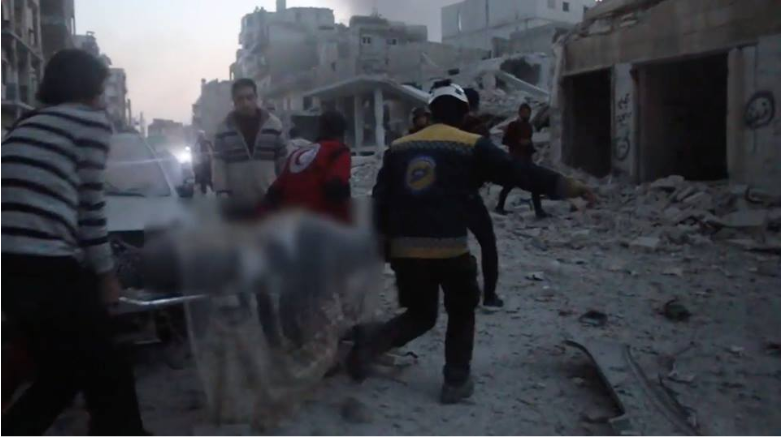 Victim of an alleged Russian airstrike on Faqee, Idlib, between March 20th and 21st (via Syria TV). 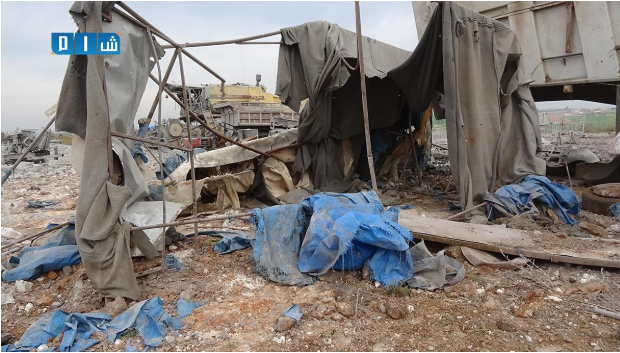 Video report after an alleged Russian airstrike struck Faqee in Idlib between March 20th and 21st, claiming an entire family was killed in the attack (via Mohammed). Video of bodies being pulled from the rubble after after an alleged Russian airstrike struck Faqee in Idlib between March 20th and 21st. 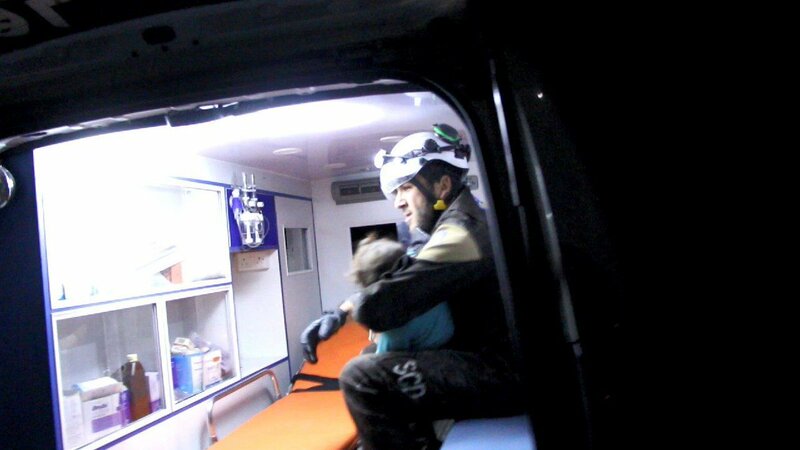 The source claimed four children and their parents were burried under the rubble (via ENN). 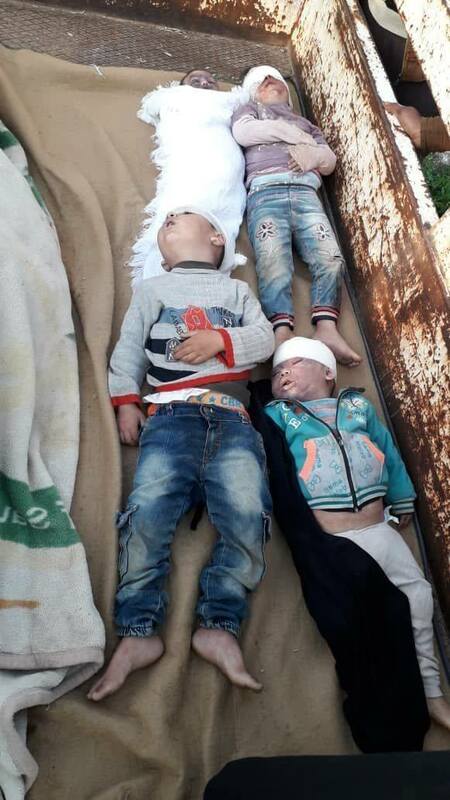 The Children Mariam, Fatima, Abdullah and Islam al Mer'e, IDP's from Al Traimsa village in Hama were killed alongside their father Ismail while their mother was injured in what was believed to be a Russian airstrike on their house in Al Faqee in Idlib between March 20th and 21st (via SN4HR). 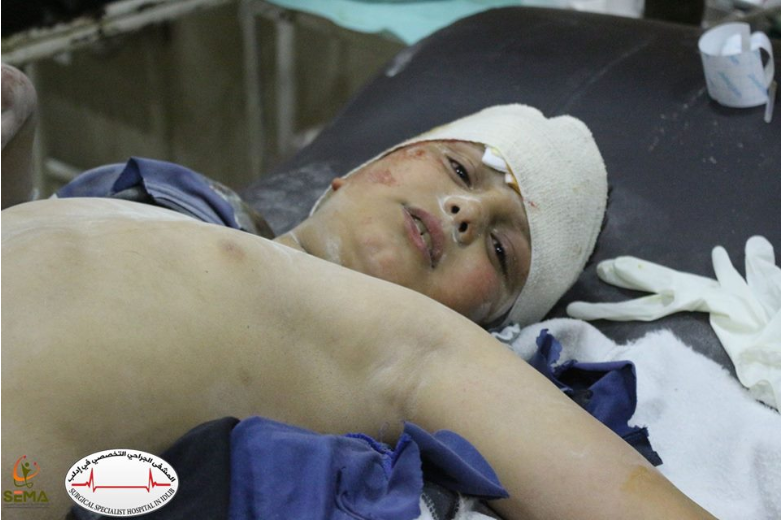 A child who was injured by an alleged Russian airstrike on Faqee in Idlib between March 20th and 21st (via @ShahbaPress). 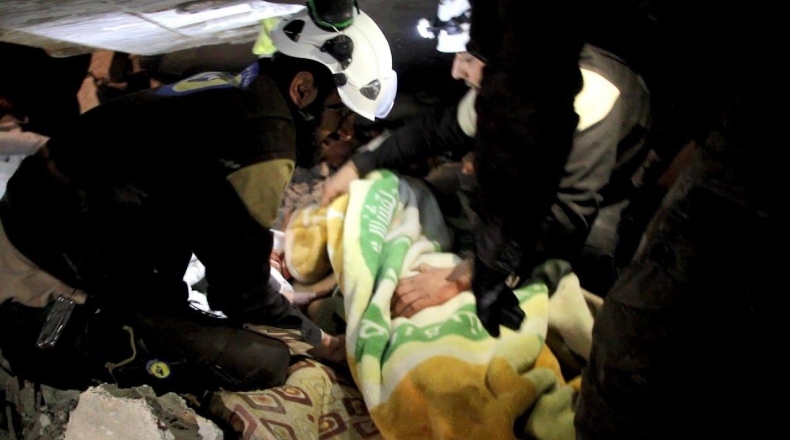 Syrian Civil Defense Forces pulling a person out of the rubble after an alleged Russian airstrike struck Faqee in Idlib between March 20th and 21st (via Syrian Civil Defense). 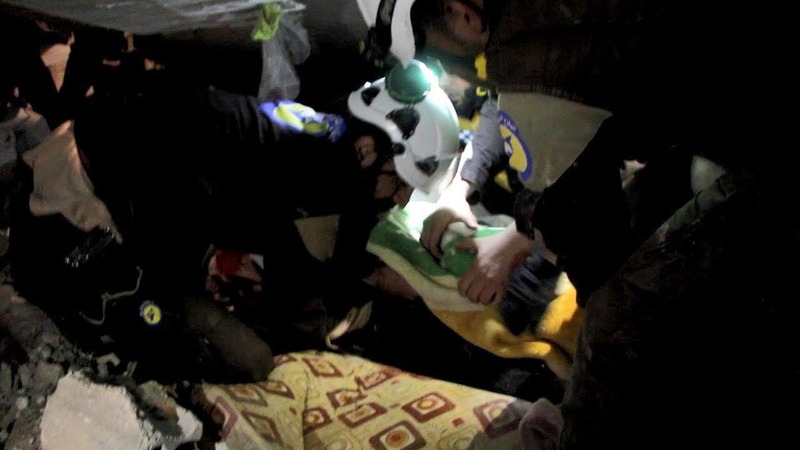 Syrian Civil Defense Forces pulling someone out of the rubble after an alleged Russian airstrike on Faqee in Idlib between March 20th and 21st (via Syrian Civil Defense). 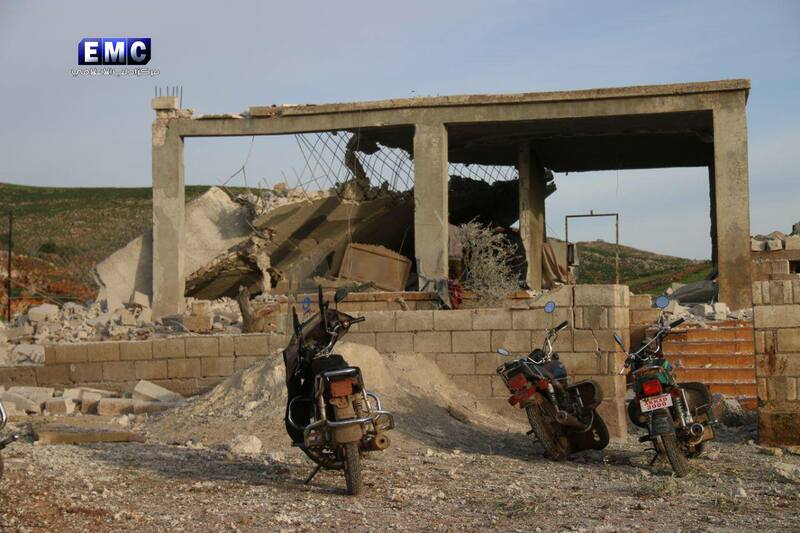 Local sources reported that six Russian aircrafts carried out airstrikes on a number of villages in rural Idlib including Bsida village. 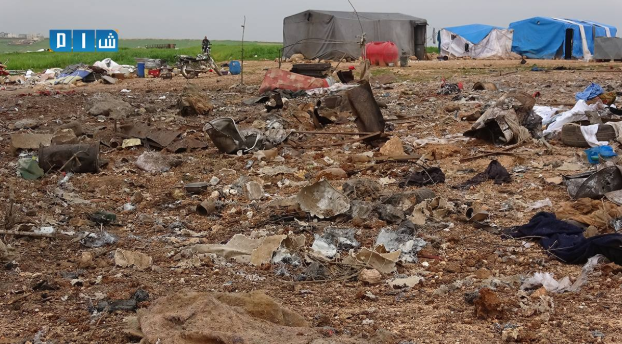 One woman was reported injured in this particular village, while an airstrike on Al Faqee caused a number of fatalities and wounded civilians that Airwars documented in assessment R3397. 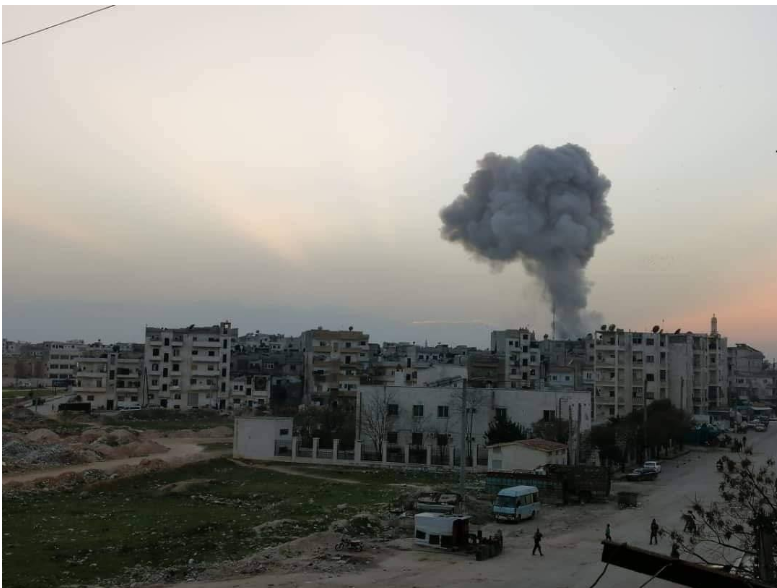 Local media reported that Russian warplanes carried out strikes on a number of towns and villages in Idlib on March 20th and 21st, resulting in the death of up to five civilians. 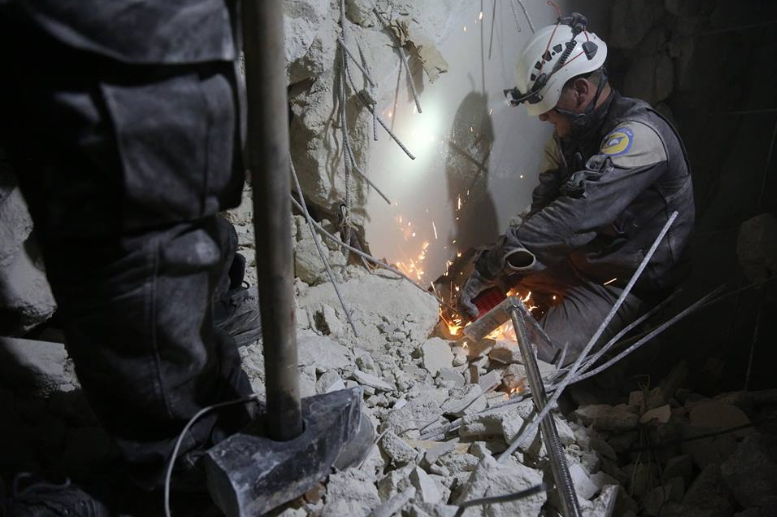 According to the Step News Agency, “Russia launched several air raids on the towns of Sheikh Mustafa and Basida and the outskirts of Kfaroma and Kasabiya and the vicinity of Tel Asas in rural Idlib killing five people from one family including a child”. 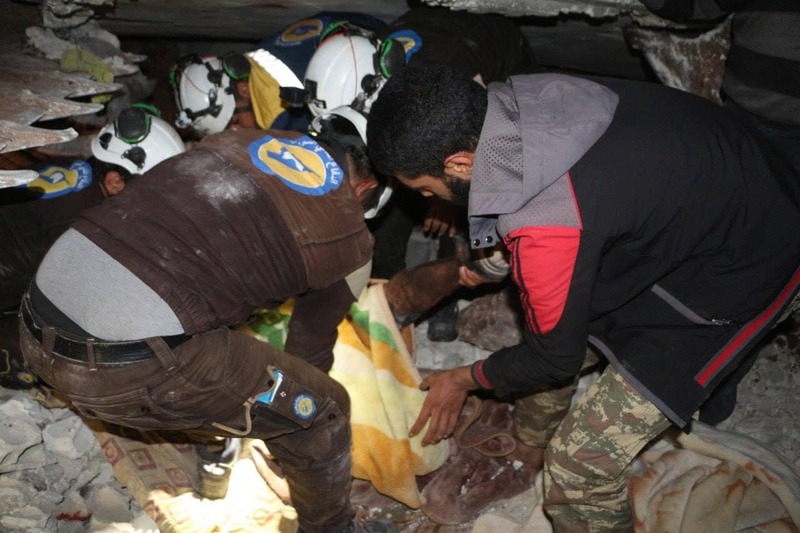 In a major civilian casualty incident, up to 17 civilians including as many as eight children and four women across multiple families died in alleged Russia airstrike on residential areas in Idlib, local media reported. Up to another 50 civilians including many women and children were also injured. 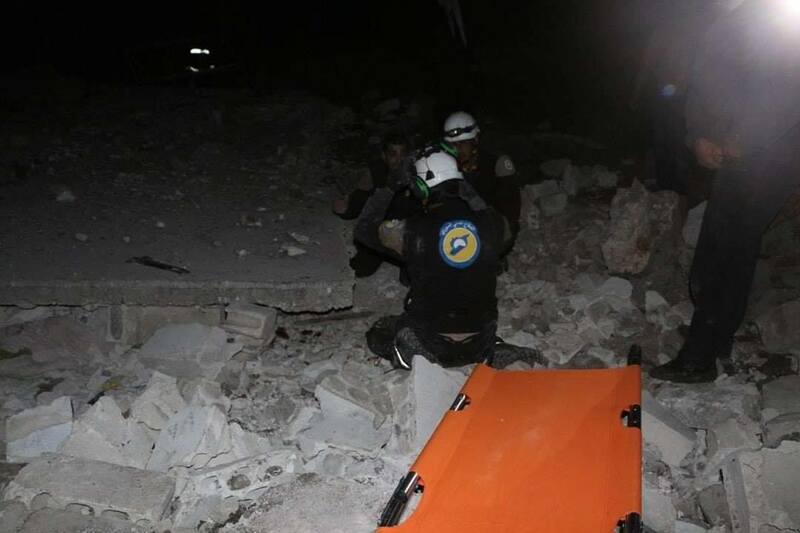 Sources said that the strikes occurred in the al Kasih area in the middle of Idlib city and the Al Qousor area. 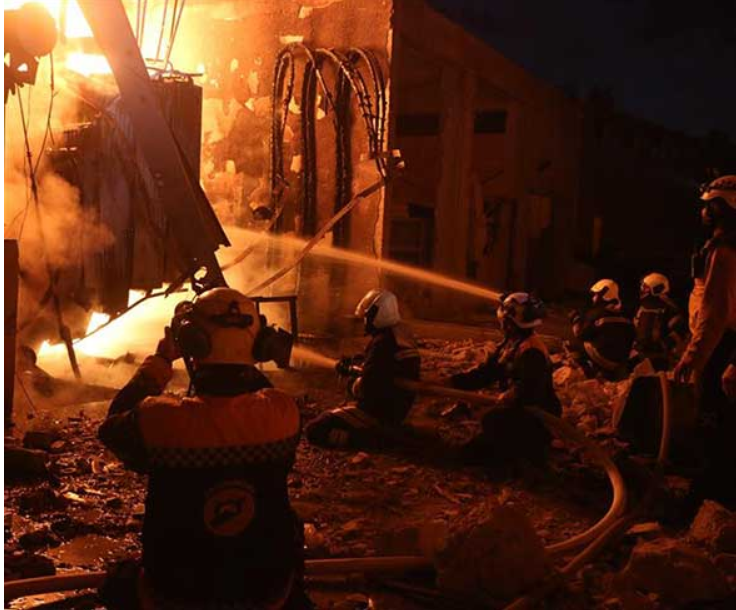 Multiple reports said that civilian buildings had been struck and sources published images showing widespread destruction to the area. Most sources put the death toll in the range of 12 to 17 with dozens more wounded. Two civilians – both reportedly women – died and up to 20 more were wounded in an alleged Russia airstrike on a camp for displaced persons in Kafr A’mem, according to multipel local sources. The Shaam News Network said that “several” were wounded in addition to the two reported killed. 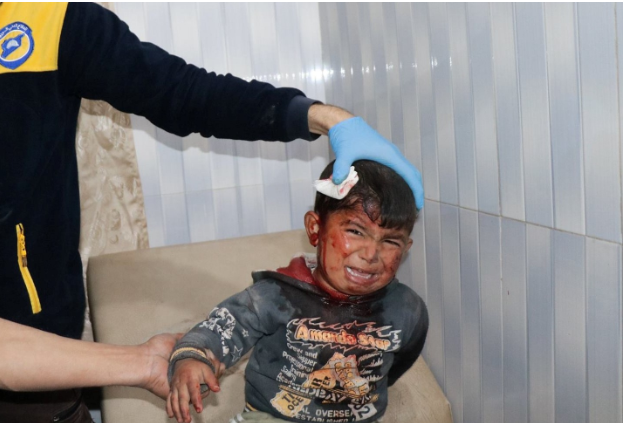 Images of children wounded in an alleged Russian airstrike on Kafr A’mem, March 13th 2019. 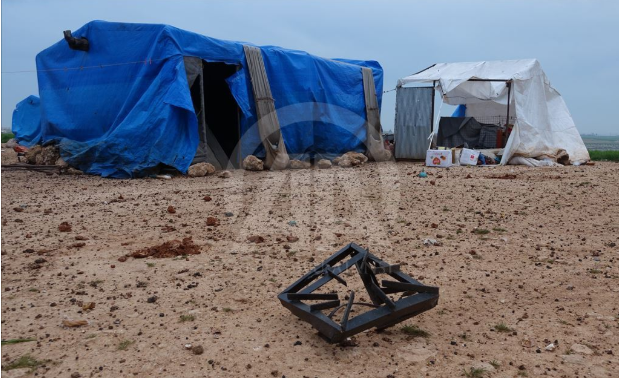 The aftermath of an alleged Russian airstrike on a camp for displaced persons in Kafar A'mem, March 13th 2019. 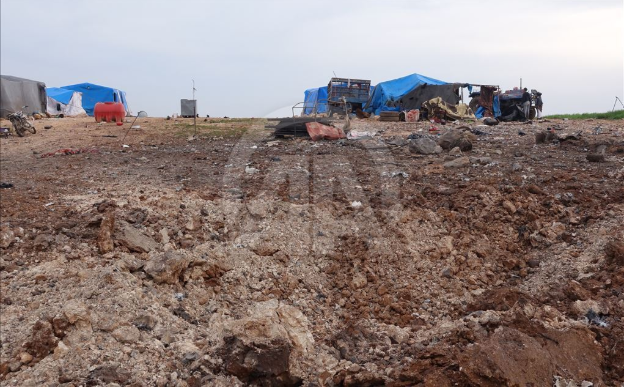 Footage showing the rescue attempts following an alleged Russian airstrike on a camp for displaced persons in Kafar A'mem, March 13th 2019. 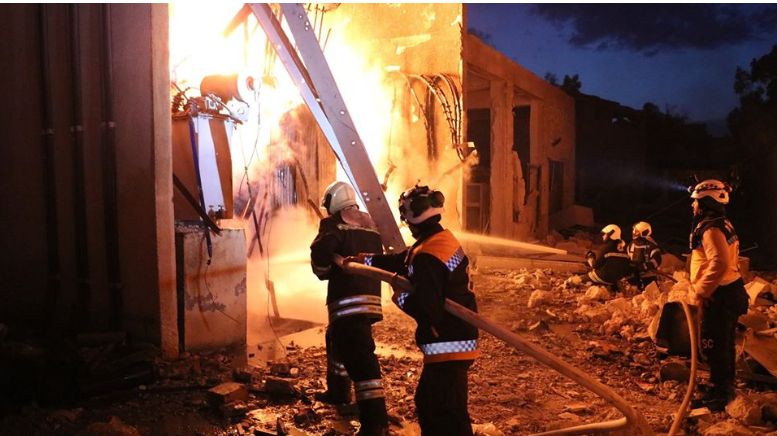 Local sources reported that two Russian planes launched eight raids on the city of Idlib, including residential areas. 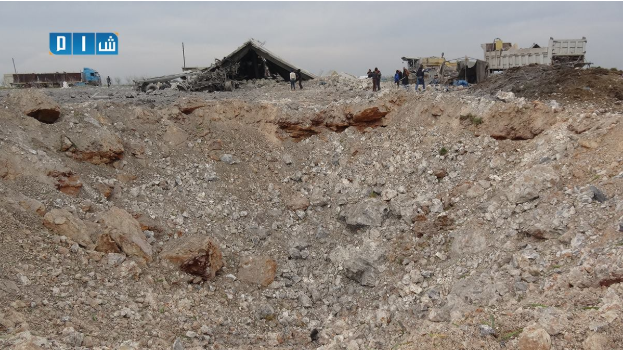 Baladi News reported that six airstrikes struck the central prison west of the city of Idlib causing the destructing of one of the buildings. 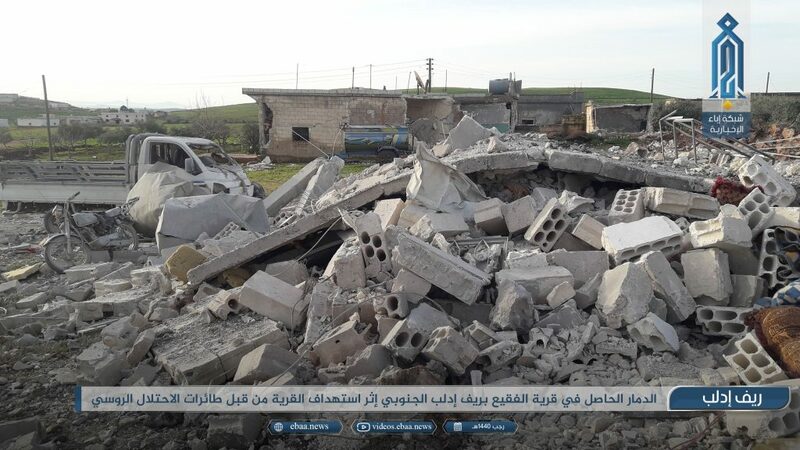 Multiple C\civilians including prisoners and prison staff were reported killed and wounded while a number of other prisoners managed to escape the prison. Activists’ posts on social networking sites showed dozens of prisoners fleeing the prison, some on foot and others with small trucks. 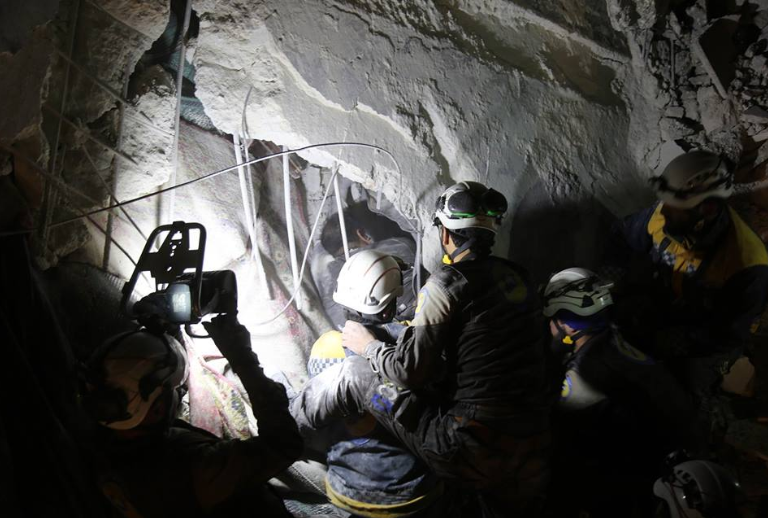 The director of Al-Shaam said that among the prisoners who escaped from the prison were agents of the Syrian regime. 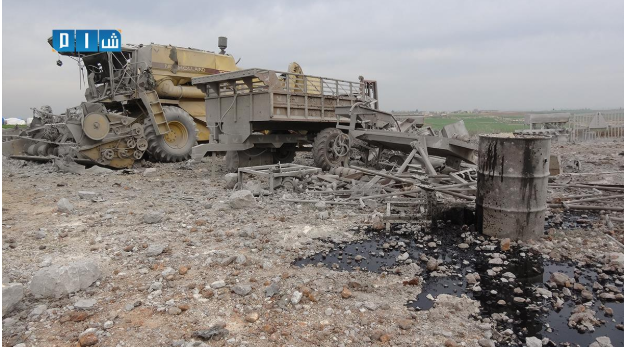 Orient News reported that nine civilians were killed and 45 civilians were wounded. The source claimed that dozens of prisoners escaped when one of the walls of the prison was struck. Sky News put the civilian death toll higher at 13 people killed with 60 more wounded. Among the victims were six children. The source added that 100 prisoners escaped. 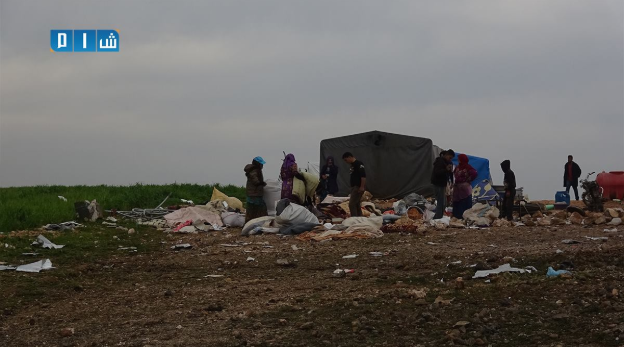 According to Edlib EMC, a total of 15 people were killed including five children, with 40 others wounded. It also did not specify how many of this number were civilians. 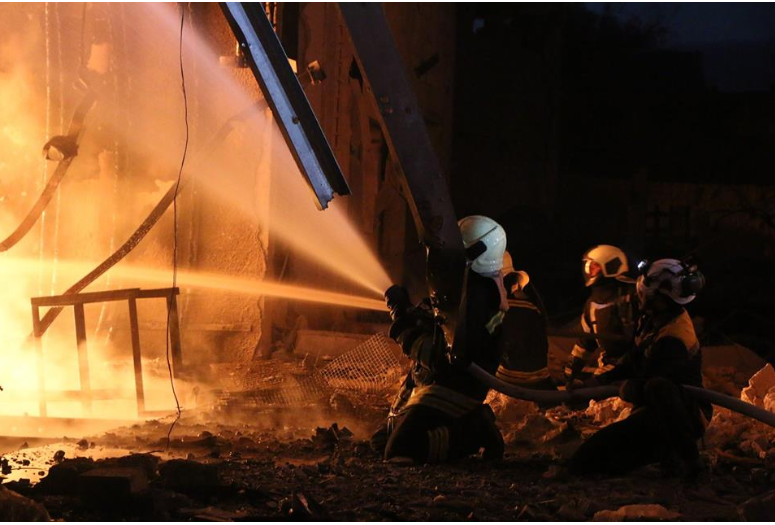 The Syrian Observatory for Human Rights reported that 26 people had been killed including eight children under the age of 18, two women and and nine male prisoners. 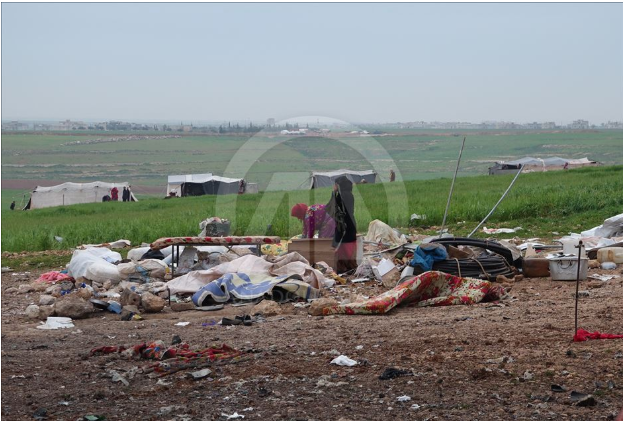 According to the Shaam News Network, a staggering number of 50 detainees were killed of whom 14 were said to be civilians, including women and children. 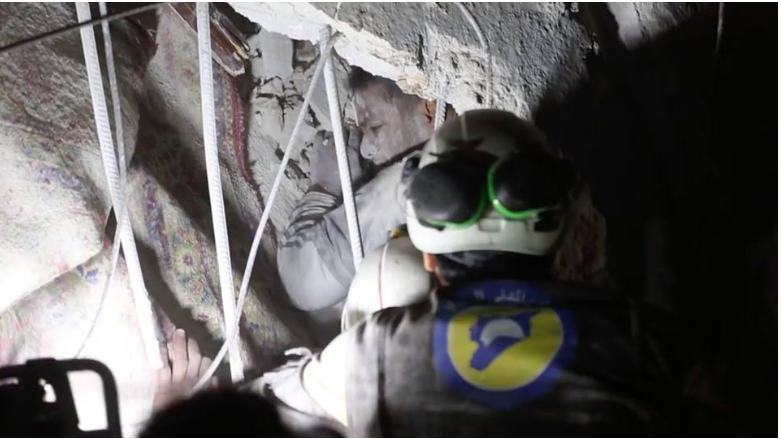 All sources blamed Russia except thee Syrian Observatory for Human Rights who believed the airstrikes were conducted by the Syrian regime. 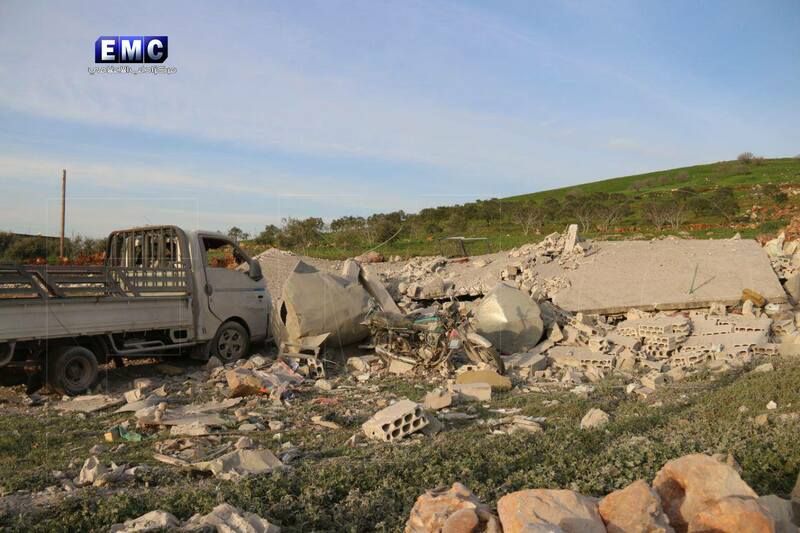 Video of the aftermath of an alleged Russian airstrike on the central prison area in the city of Idlib reported to have resulted in civilian casualties, and the escape of dozens of prisoners after the destruction of some walls of the prison (via Orient News). Wounded prisoners after an alleged Russian airstrike struck the central prison area in the city of Idlib (via @aboalhodaalhoms). Video showing the alleged Russian airstrike on the Idlib prison. 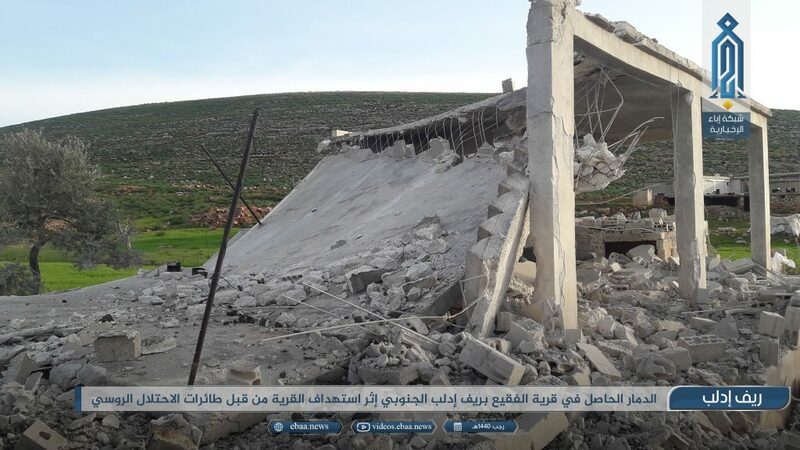 Destruction of Idlib hospital after an alleged Russian airstrike (va Shaam). 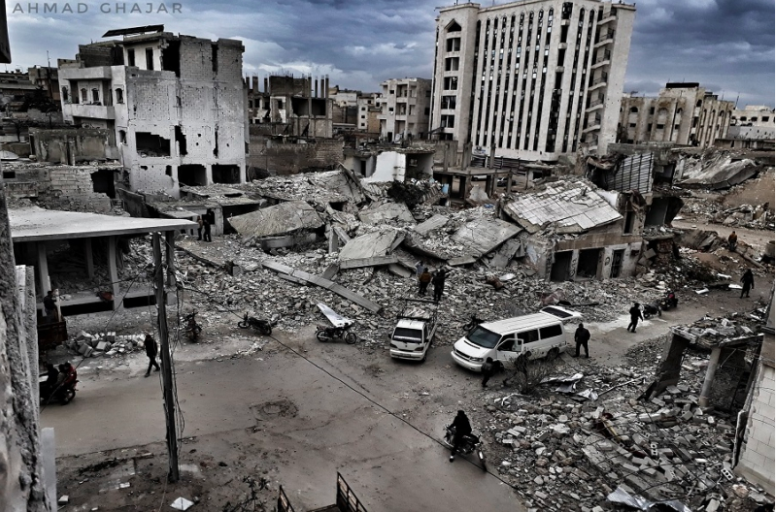 Local media reported that an unspecified number of civilians were wounded in an alleged Russian airstrike on Tal Mardikh.